Be careful when operating a forklift near the edge of a loading dock or ramp – the forklift can fall over the edge – keep a safe distance from the edge. If visibility is poor do not continue driving; in some circumstances, you may need a lookout helper to assist you. 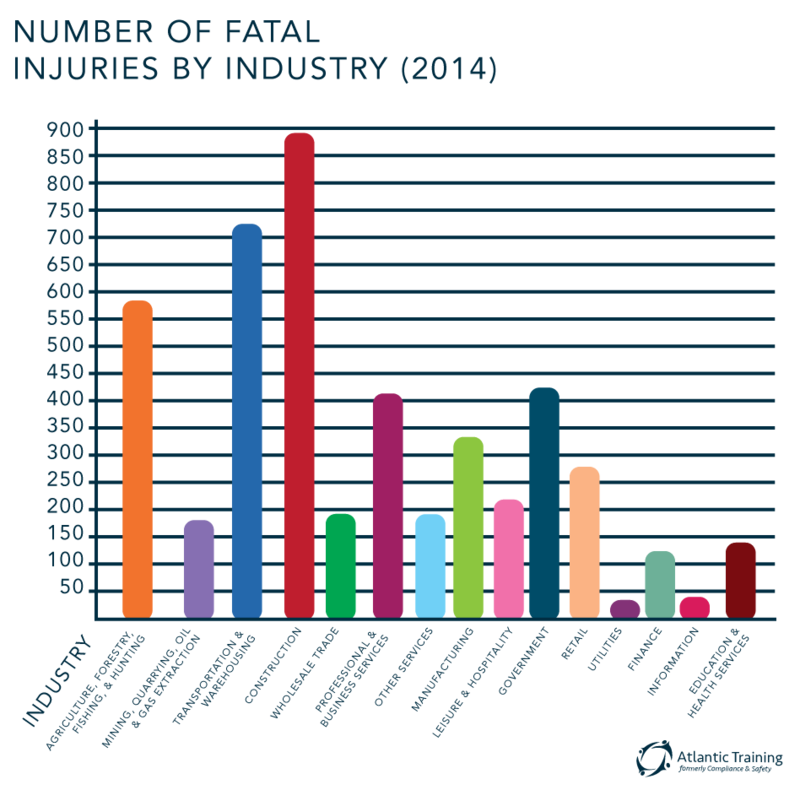 Do not authorize anyone to stand or walk under the load or forklift machinery – The load can fall causing injury or death. Keep hands and feet clear of the cross members of the mast – Serious injury can be caused if the mast is lowered while your hand is on it. An overload can cause the rear tires to be raised off the ground and may cause the forklift to tip over. A forklift should only be refueled at specially designated locations. 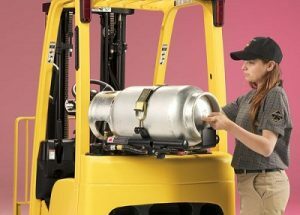 For IC engine forklifts, no open flame or sparks are permitted, and refueling should take place in a well-ventilated area. 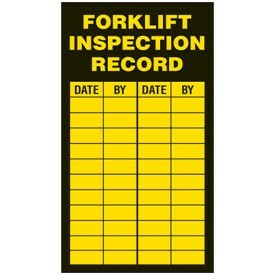 After use ensure the forklift is parked in a designated or authorized area. Fluid levels — oil, water, and hydraulic fluid. Leaks, cracks or any other visible defect including hydraulic hoses and mast chains. NOTE: Operators should not place their hands inside the mast. Use a stick or other device to check chain tension. Tire condition and pressure including cuts and gouges. Condition of the forks, including the top clip retaining pin and heel. 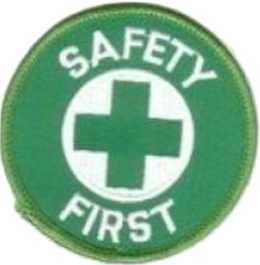 Safety decals and nameplates. Ensure all warning decals and plates are in place and legible. Check that information on the nameplate matches the model and serial numbers and attachments. Operator manual on truck and legible. Operator compartment. Check for grease and debris. 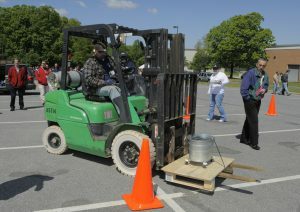 Park the forklift in the designated refueling area. Lower the forks to the ground. Fill the tank slowly (if spillage occurs, wipe off fuel and wash down the area with water). 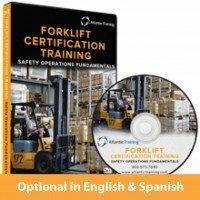 For complete forklift refueling safety training, click here. 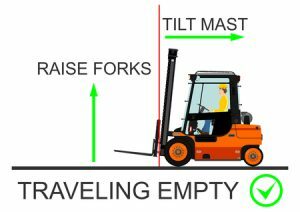 In order for forklifts to remain balanced and to prevent them from tipping over, there must be an established center of gravity. 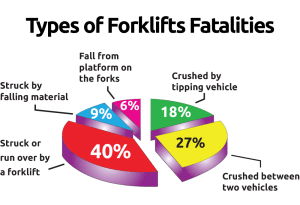 It’s important to understand why forklifts become unstable so that preventative measures can be taken. Our friends over at OSHA have broken down exactly how to measure center of gravity, as well as everything you need to know about load composition. 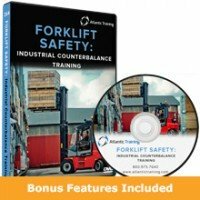 For complete training on forklift loads and counter balance, click here. Separating the pedestrian and forklift traffic by creating designated walkways or travel ways. Restricting people from entering areas where the forklift is operating. Ensuring the area is well lit and the area is clear. Keeping a safe distance from the forklift whenever possible. Always letting the driver know you are in the area. Attempt to make eye contact with the driver to ensure they have seen you. Being cautious near blind corners, doorways, and narrow aisles. Avoiding driving forklift near areas where pedestrian traffic is high (for example: lunch rooms, time clocks, entrances/exits). 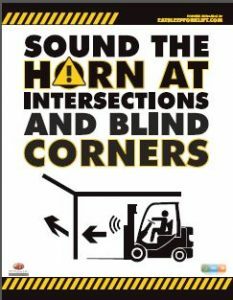 Sounding the forklift horn at intersections. 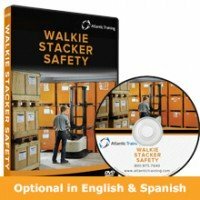 Training all warehouse workers through an OSHA Compliant safety training program. Forklifts are considered heavy machinery and any and all heavy machinery can be dangerous even when operated with utmost caution. 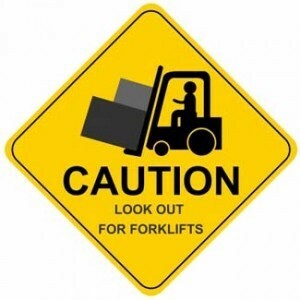 Be knowledgeable and stay vigilant when operating a forklift. Get a “feel” for the machine you’re operating and encourage others to maintain safe operations around the equipment as well. 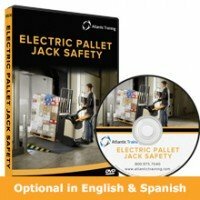 It’ll help your operation of the forklift and their ability to work around it be natural, seamless, and safe. Employers must certify that operators have received all necessary training and evaluate each operator at least once every three years.